1-Robert Chilcott died in 1687. Robert had a son: Christopher. 2-Christopher Chilcott was born in 1665 in Beaminster, Dorset England, died in 1725 at age 60, and was buried on 25 Dec 1725 in Tintagel, Cornwall, England. Christopher married Hannah Long. Hannah died in 1705 and was buried on 1 Nov 1705 in Tintagel, Cornwall, England. They had one son: William. 3-William Chilcott was christened on 23 Feb 1700 in Tintagel, Cornwall, England, died in 1745 at age 45, and was buried on 12 Feb 1745 in Tintagel, Cornwall, England. William married Rebecca Williams. They had a son: Charles. 4-Charles Chilcott was christened on 6 Feb 1742 in Tintagel, Cornwall, England and was buried on 7 Apr 1815 in Tintagel, Cornwall, England. Charles lived at Treknow in Tintagel, Cornwall England. He was a gentleman farmer who inherited all his mother's property on her death. He was known as "Charles the Giant" for his gigantic stature and extraordinary strength. He measured 6ft 4in high; around the breast, 6ft 9in and weighed four hundred and sixty pounds. He was almost continually smoking; 3lbs of tobacco was his weekly allowance; his pipe ten inches long; one of his stockings would contain six gallons of wheat. He was much pleased with the curiosity of strangers who came to see him, and his usual address was, 'Come under my arm, little fellow.'" He left properties in Treknow, Boping and Trevana, Lanteglos, Trewarmett Downs and tenements in Tintagel. Charles the Giant was married in St Juliot's Church, near Boscastle, to Mary Jose. Mary was born in 1738, died in 1819 in Tintagel, Cornwall, England at age 81, and was buried on 11 Jun 1819 in Tintagel, Cornwall, England. They had a son: Langford. 5-Langford Chilcott was christened on 3 Dec 1769 in Tintagel, Cornwall, England and died in 1823 at age 54. Langford married Ann Medling on 22 Oct 1800. Ann was born in 1800 and died in 1823 in Tintagel, Cornwall, England at age 23. They had two children: Charles and William. Mary next married William English McClure on 26 Oct 1889 in Deloraine Cemetery. 7-Archibald Chilcott was born on 29 Oct 1832 in Cressy, Tasmania and died on 12 Jun 1898 at age 65. Archibald married Lavinia Graham, daughter of David Vincent Graham and Sarah Ruth Gangell. Lavinia was born on 22 May 1836 in Hobart, Tasmania and died on 2 Oct 1918 in Breadalbane, Tasmania at age 82. They had one son: Walter Theodore. 8-Walter Theodore Chilcott was born on 26 Nov 1882 in Launceston, Tasmania and died in 1938 in Hagley, Tasmania at age 56. Walter married Guida Ruby Reeder Parry in 1907 in Deloraine, Tasmania. They had two children: Lorena Dagmar and Thomas Archibald. 9-Lorena Dagmar Chilcott was born on 12 Jul 1909 in Deloraine, Tasmania and died on 29 Jul 2003 in Strathaven Nursing Home, Berriedale at age 94. Lorena married Valentine Victor Hingston, son of Edmund Tasman (Tas) Hingston and Sarah Margaret Walker. Valentine was born on 4 May 1907 in St John Street, Launceston. Lorena next married Archibald John Clark on 19 Jul 1930 in Bagdad Congregational Church. 9-Thomas Archibald Chilcott was born on 8 Mar 1924 and was buried on 7 Aug 1983. Thomas married Edna Grace Hingston, daughter of Edmund Tasman (Tas) Hingston and Sarah Margaret Walker. Edna was born on 1 Nov 1915 in Deloraine, Tasmania and died after 1990. They had two children: Kerry Thomas and Wendy Lorraine. 10-Kerry Thomas Chilcott was born on 4 Sep 1952. Kerry married Elaine Bowerman. Elaine was born on 3 Mar 1958. They had two children: Melinda Jane and Sarah Maree. 11-Melinda Jane Chilcott was born on 9 Mar 1977. 11-Sarah Maree Chilcott was born on 9 Jan 1981. 10-Wendy Lorraine Chilcott was born on 28 Jul 1953. Wendy married Herbert Tichenow. Herbert was born on 3 Sep 1952. They had two children: Sandra Lorraine and Aaron Thomas. 11-Sandra Lorraine Tichenow was born on 27 Jul 1975. Sandra married Brett Jones. 11-Aaron Thomas Tichenow was born on 3 Oct 1978. 7-Arthur Chilcott was born in 1845 and died in 1921 at age 76. Arthur married Mary Anne Maine on 9 Apr 1866 in Launceston, Tasmania. Mary was born on 16 Dec 1844 in Launceston, Tasmania and died on 29 Nov 1916 in Meander, Deloraine at age 71. They had children including: Arthur Albert, Elva Amy and Charles Ernest. 8-Arthur Albert Chilcott, son of Arthur Chilcott and Mary Anne Main, was born on 19 Jan 1873 in Port Sorell. Arthur married Frances Bridget Neville on 28 Nov 1895 in Mersey, Devonport. Frances was born about 1871. They had three children: Charles Thomas, Arthur Bernard and Daphne Doris. 9-Charles Thomas Chilcott was born about 1894 and died on 29 Jan 1962 aged about 68. He served in the First World War: Charles married Emily. Emily died on 27 Dec 1986. 9-Arthur Bernard Chilcott was born in 1897 in Ulverstone, Tasmania and died on 28 May 1973 in Launceston, Tasmania at age 76. 9-Daphne Doris Chilcott was born in 1904 in Ulverstone, Tasmania and died on 22 Dec 1979 in Latrobe, Tasmania at age 75. 8-Elva Amy Chilcott was born on 16 Mar 1875 in Ulverstone, Tasmania and died on 21 Oct 1946 in Cressy, Tasmania at age 71. Elva married Albert Chilcott, son of William Chilcott and Janet McDonald, on 19 Jul 1898 in Longford, Tasmania. Albert was born on 23 Apr 1869 in Longford, Tasmania and died on 5 Jun 1949 in Cressy, Tasmania at age 80. 8-Charles Ernest Chilcott was born on 12 Mar 1879 in North Motton, died on 27 May 1946 in Launceston, Tasmania at age 67, and was buried in Deloraine General Cemetery. Charles married Lily May French, daughter of Edward French and Lydia Mary Hingston, on 31 Dec 1903 in Gawler, Tasmania. Lily was born on 2 Aug 1883 in Gawler, Tasmania, died on 8 Nov 1967 in Meander, Deloraine at age 84, and was buried in Deloraine General Cemetery. They had four children: Collis Norman Arthur, Olive Stephanie (Ockie), Christina May and Beatrice Grace. 9-Collis Norman Arthur Chilcott was born on 6 May 1905 in North Motton and died on 14 Sep 1985 at age 80. Collis married Jean Mynette Cox, daughter of George Hubert Cox and Olive Eve Walker. Jean was born on 9 Feb 1913 in Parkham, Deloraine. They had two children: Beverley Jean and Graeme Geoffrey. 10-Beverley Jean Chilcott was born on 4 Aug 1937. Beverley married Maxwell Leidle. Maxwell was born in 1936. They had two children: Brian Maxwell and Carolyne Anne. 11-Brian Maxwell Leidle was born on 20 Aug 1964. 11-Carolyne Anne Leidle was born on 9 Mar 1967. Beverley next married Robert Roche. Robert was born on 6 Sep 1933. 10-Graeme Geoffrey Chilcott was born on 18 Sep 1939. Graeme married Jennifer Mary James. Jennifer was born on 8 Mar 1941. They had two children: Maree Elizabeth and Kathryn Anne. 11-Maree Elizabeth Chilcott was born on 22 Sep 1964. 11-Kathryn Anne Chilcott was born on 1 Nov 1965. 9-Olive Stephanie (Ockie) Chilcott was born on 3 Jun 1919 and died on 11 Jul 2011 at age 92. Olive married James Taylor Lee. James was born on 3 Jul 1910 and died on 7 Feb 1980 at age 69. 9-Christina May Chilcott was born on 18 Mar 1909 in North Motton, died on 11 Dec 2006 in Grenoch Home, Deloraine, Tasmania at age 97, and was buried on 14 Dec 2006 in Service at Uniting Chucrh, Deloraine. Christina married Clifford George Cox, son of George Hubert Cox and Olive Eve Walker. Clifford was born on 11 May 1909 in Parkham, Deloraine and died on 11 Feb 1981 at age 71. They had three children: Olive Lily, Gwenneth May and Wendy. 10-Olive Lily Cox was born on 4 Nov 1935. Olive married Robert George Loone. Robert was born on 17 Jul 1940. They had four children: David George, Lynette Ann, Janice May and Peter Robert. 11-David George Loone was born on 18 Dec 1964. 11-Lynette Ann Loone was born on 29 May 1966. 11-Janice May Loone was born on 8 May 1968. 11-Peter Robert Loone was born on 29 May 1970. 10-Gwenneth May Cox was born on 22 Nov 1941. Gwenneth married Desmond Ronald Jordan on 22 Dec 1962. Desmond was born on 11 Dec 1940. They had three children: Debbie Trina, Phillipa D'Arne and Jason. 11-Debbie Trina Jordan was born on 21 Apr 1965. Debbie married someone. She had two children: Tarnea Natasha and Matthew Lee. 12- Tarnea Natasha was born on 28 Mar 1984. 12- Matthew Lee was born on 15 Jul 1985. 11-Phillipa D'Arne Jordon was born on 27 Sep 1967. Phillipa married David Thomas Cox on 22 Mar 1986. David was born on 15 Nov 1964. They had one daughter: Chrissie Reanne. 12-Chrissie Reanne Cox was born on 25 Jun 1991. 11-Jason Jordan was born on 30 Jan 1972. 10-Wendy Cox was born on 21 Dec 1946. Wendy married Gregory Philips. Gregory was born on 16 Oct 1946. They had two children: Adam and Rowena. 11-Adam Philips was born on 10 Oct 1969. 11-Rowena Philips was born on 25 Nov 1970. 9-Beatrice Grace Chilcott was born on 1 Apr 1921 in Tasmania and died in 1993 at age 72. 6-William Chilcott was born on 20 Aug 1809 in Tintagel, Cornwall, England and died on 14 Sep 1884 in Cressy, Tasmania at age 75. William emigrated in 1829 with his brother Charles and his family aboard the Marquis of Angelsea for the Swan River colony in Western Australia, arriving 23 August 1829. Charles and family arrived in Hobart Town on 14 September 1830. William followed them in 1831, arriving on the Eagle on 27 June 1831 into Hobart Town. William married Janet McDonald on 17 Sep 1849 in Evandale, Tasmania. Janet was born in 1831 and died in 1884 in Longford, Tasmania at age 53. Another name for Janet was Jeanette. They had 17 children: William, Ann Janet, James Langford, Charles, Rebecca, Elizabeth, Alexander Travers, Tamson Aquilla, Thomas Edgerton, Margaret Jane, Grace, Albert, Joseph, Donald, Charlotte, Samuel and Amelia Jane. 7-William Chilcott was born on 27 Jul 1850 in Evandale, Tasmania, died on 29 Apr 1925 at age 74, and was buried in Deloraine, Tasmania. William married Rebecca Mary Thomas on 9 Apr 1879 in Launceston, Tasmania. Rebecca was born on 10 Jun 1851 in Launceston, Tasmania, died on 3 Feb 1928 in Montana at age 76, and was buried on 6 Feb 1928 in Deloraine, Tasmania. They had seven children: Amelia, Lydia Maud, Colin Bruce, William Henry, Mabel May, Florence Albertine and Rebecca Mary. 8-Amelia Chilcott was born on 12 Jul 1880 in Longford, Tasmania. 8-Lydia Maud Chilcott was born on 27 Oct 1882. 8-Colin Bruce Chilcott was born on 29 Sep 1885 in Longford, Tasmania and was buried on 16 Aug 1971 in Mersey Vale Memorial Park. 8-William Henry Chilcott was born on 1 Sep 1887 in Longford, Tasmania. William married Gertie Cubit, daughter of Nathaniel Dickey Cubit and Mary Grace Bligh, in 1912 in Victoria. Gertie was born on 22 Jan 1890 in Deloraine, Tasmania. They had three children: Vera May, Gertrude Mavis and Colin Bruce. 9-Vera May Chilcott was born in 1914 in Shepparton, Victoria. Vera married William Arthur Sankey on 6 May 1939 in Ulverstone, Tasmania. William was born in 1889 in Northdown. 9-Gertrude Mavis Chilcott was born in Shepparton, Victoria and died in 1918. 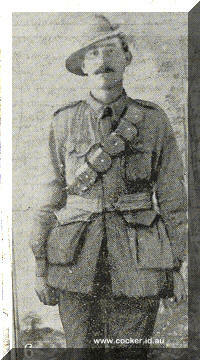 9-Colin Bruce Chilcott was born in 1922 and died in 1923 in Warragul, Victoria at age 1. 8-Mabel May Chilcott was born on 2 Sep 1890 in Longford, Tasmania. Mabel married Charles Owen Churchill in 1917 in Tasmania. Charles was born on 13 Feb 1891 in Westbury, Tasmania. They had one son: Ronald Bruce. 9-Ronald Bruce Churchill was born on 16 Sep 1918 in Westbury, Tasmania. 8-Florence Albertine Chilcott was born on 14 Nov 1893 in Longford, Tasmania and died on 2 Nov 1930 in Deloraine, Tasmania at age 36. Florence married Charles Synfield on 16 Oct 1929. 8-Rebecca Mary Chilcott was born on 14 Jul 1896 in Longford, Tasmania. 7-Ann Janet Chilcott was born on 19 Nov 1851 in Evandale, Tasmania and died on 6 May 1882 in Launceston, Tasmania at age 30. 7-James Langford Chilcott was born on 15 Oct 1853 in Evandale, Tasmania and died on 13 Aug 1929 in Bracknell, Tasmania at age 75. James married Jane Grigg on 9 Apr 1872 in Longford, Tasmania. Jane was born in 1847. They had five children: Albert William, James William, Allan, Joseph Henry and Rose Eliza. 8-Albert William Chilcott was born on 9 Dec 1872. 8-James William Chilcott was born on 11 Nov 1874 in Longford, Tasmania and died on 10 Sep 1942 in Ulverstone, Tasmania at age 67. James married Ada Eva Spence. Ada died in 1942. They had three children: Claude, Clarence and Marjorie. 9-Marjorie Chilcott died in 1942. Marjorie married Bean. 8-Allan Chilcott was born on 26 Sep 1876 in Longford, Tasmania and died on 14 Jun 1960 in Gisbourne, New Zealand at age 83. 8-Joseph Henry Chilcott was born on 18 May 1878 in Longford, Tasmania and died on 16 Aug 1963 in Bracknell, Tasmania at age 85. Joseph married Jessie Maria Richards. Jessie was born on 24 Jun 1889 in Mersey, Devonport and died on 7 Dec 1969 at age 80. They had one son: Ray Joseph. 9-Ray Joseph Chilcott was born on 31 Jul 1911 and died on 6 Jul 1953 in Hobart, Tasmania at age 41. 8-Rose Eliza Chilcott was born on 2 Jan 1882 in Longford, Tasmania. 7-Charles Chilcott was born on 14 May 1855 in Evandale, Tasmania. 7-Rebecca Chilcott was born on 5 Apr 1857 in Evandale, Tasmania and died in 1933 at age 76. Rebecca married James Lindsay on 25 Sep 1877 in Longford, Tasmania. They had nine children: Tamson Anna, Grace Janette, Aubrey Sidney, Olive Ethel, Beatrice Rebecca, Muriel Violet, David James, (No Given Name) and Donald Sidney. 8-Tamson Anna Lindsay was born on 11 Jul 1878 in Evandale, Tasmania and died after 1951. Tamson married Thomas John Hanney, son of Thomas John Hanney and Sophia Turner, on 14 Jan 1903 in St Andrews Church Launceston. Thomas died before 8 Sep 1951. They had one son: Lindsay Sidney. 9-Lindsay Sidney Hanney was born in 1903 in Evandale, Tasmania. 8-Grace Janette Lindsay was born on 21 Dec 1880 in Evandale, Tasmania. Grace married Charles Bransden. They had one daughter: Eveleyn Florence Stevenson. 9- Eveleyn Florence Stevenson was born on 23 Dec 1905 and died on 28 Oct 1990 in Launceston, Tasmania at age 84. 8-Aubrey Sidney Lindsay was born on 17 Sep 1885 in Evandale, Tasmania. 8-Olive Ethel Lindsay was born on 29 Sep 1886 in Evandale, Tasmania. Olive married Alexander McOwen in 1908. 8-Beatrice Rebecca Lindsay was born on 25 Jun 1889 in Evandale, Tasmania, died on 4 Aug 1941 in Longford, Tasmania at age 52, and was buried in Aug 1941 in Christ Church, Longford, Tasmania. Beatrice married Donald Wise in 1911 in Tasmania. Donald as born on 27 Jan 1892 in Longford, Tasmania, died on 7 Feb 1975 in Longford, Tasmania at age 83, and was buried in Feb 1975 in Christ Church, Longford, Tasmania. They had seven children: Margaret Nancy, (No Given Name), Lindsay Cyril Donald, Hughie Herbert, Jeffrey Donald, Kathleen Joyce and Gwendoline Beatrice. 9-Margaret Nancy Wise was born on 21 Jan 1912 in Evandale, Tasmania. 9-Wise was born on 21 Oct 1912 in Evandale, Tasmania. 9-Lindsay Cyril Donald Wise was born on 24 Nov 1915 and died on 24 Nov 1992 in Launceston, Tasmania at age 77. 9-Hughie Herbert Wise was born on 19 Oct 1920 and died on 18 Feb 1980 in Burnie, Tasmania, Australia at age 59. 9-Jeffrey Donald Wise was born on 28 Feb 1923 and died on 5 Aug 1988 in Launceston, Tasmania at age 65. 9-Kathleen Joyce Wise was born on 20 Jan 1926. 9-Gwendoline Beatrice Wise was born on 2 Oct 1930 in Evandale, Tasmania and died on 4 Nov 1994 at age 64. Gwendoline married Lemuel David Hill on 17 Jun 1950. Lemuel was born in 1920 and died on 4 Nov 1994 at age 74. 8-Muriel Violet Lindsay was born on 13 Aug 1890 in Evandale, Tasmania. 8-David James Lindsay was born on 31 Jan 1893 in Evandale, Tasmania, died on 28 Apr 1996 at age 103, and was buried in Carr Villa Cemetery, Launceston, Tasmania. David married Annie May Davey in 1915. Annie was born in 1896, died on 19 Apr 1988 at age 92, and was buried in Carr Villa Cemetery, Launceston, Tasmania. 8-Lindsay was born on 24 May 1895 in Evandale, Tasmania. 8-Donald Sidney Lindsay was born on 14 Sep 1896 in Evandale, Tasmania. 7-Elizabeth Chilcott was born on 1 Oct 1858 in Longford, Tasmania. 7-Tamson Aquilla Chilcott was born on 31 May 1862 in Longford, Tasmania, died on 30 Aug 1927 at age 65, and was buried in Longford Methodist. Tamson married Alfred Henry Cullen, son of Frederick Cullen and Sarah Jennings, on 9 Apr 1899 in Launceston, Tasmania. Alfred was born on 27 Apr 1862 in Launceston, Tasmania and died on 12 Nov 1941 in Longford, Tasmania at age 79. They had one son: Gordon Huon. 8-Gordon Huon Cullen was born on 14 Jul 1900 in Longford, Tasmania. 7-Thomas Edgerton Chilcott was born on 26 Jan 1864 in Longford, Tasmania. 7-Margaret Jane Chilcott was born on 3 Nov 1865 in Longford, Tasmania. 7-Grace Chilcott was born on 15 Oct 1867 in Longford, Tasmania and died on 23 Dec 1934 in Longford, Tasmania at age 67. 7-Albert Chilcott was born on 23 Apr 1869 in Longford, Tasmania and died on 5 Jun 1949 in Cressy, Tasmania at age 80. Albert married his first cousin, once removed, Elva Amy Chilcott, daughter of Arthur Chilcott and Mary Anne Maine, on 19 Jul 1898 in Longford, Tasmania. Elva was born on 16 Mar 1875 in Ulverstone, Tasmania and died on 21 Oct 1946 in Cressy, Tasmania at age 71. 7-Joseph Chilcott was born on 26 Apr 1871 in Longford, Tasmania. Joseph married Maria Richards on 11 Jul 1906 in St. John's Church of England, Launceston. They had one son: John Allan. 8-John Allan Chilcott was born on 22 Jul 1909 in Bracknell, Tasmania, died in 1993 at age 84, and was buried in General Cemetery, Bracknell, Tasmania. 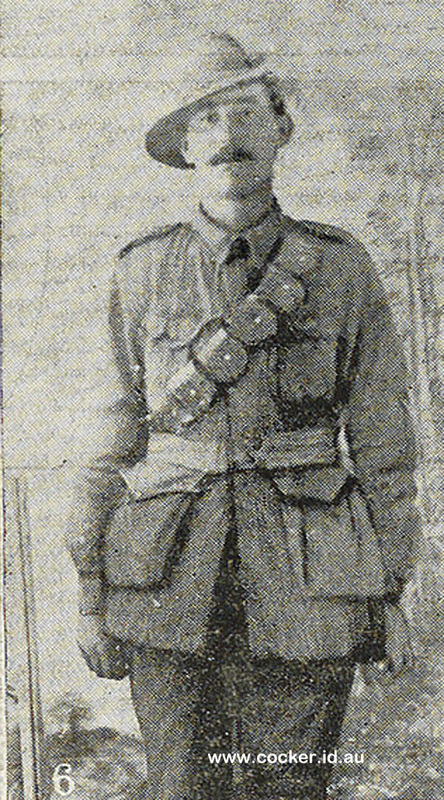 John married Lillias Joyce Badcock, daughter of Melvyn George Badcock and Evelyn Richardson. Lillias was born on 23 Feb 1916 in Cressy, Tasmania, died on 2 Apr 2007 in the Launceston General Hospital at age 91, and was buried on 26 Apr 2007 in Service at Uniting Church, Longford. 7-Donald Chilcott was born on 31 Mar 1872 in Longford, Tasmania. Donald married Annie Alice Aquinta Cullen. Annie was born on 3 Feb 1876 and died on 25 Oct 1960 in Launceston, Tasmania at age 84. 7-Charlotte Chilcott was born on 7 Feb 1874 in Longford, Tasmania. 7-Samuel Chilcott was born on 14 Oct 1874 in Longford, Tasmania. 7-Amelia Jane Chilcott was born on 26 Aug 1877 in Longford, Tasmania.